This fingerless mittens pattern will knit up quick and the finished mitts will definitely keep your hands warm. I wanted to share with you an easy fingerless mittens knitting pattern, that you can make in around 2 hours and is an excellent project for anyone who is learning how to knit. This is the first free knitting pattern in my Outlander collection, there will be more to come including the Cabled Cabin Mittens and the Bree Infinity Scarf. Inspired by Claire Fraser wearing a range of knitted wrist warmers and fingerless mitts, at her home in Fraser’s Ridge, this pattern is knit flat and seamed leaving space for your thumb. You can wear them either way, as wrist warmers or as mitts, seen styled in the photographs, which makes them very versatile for the cold weather. 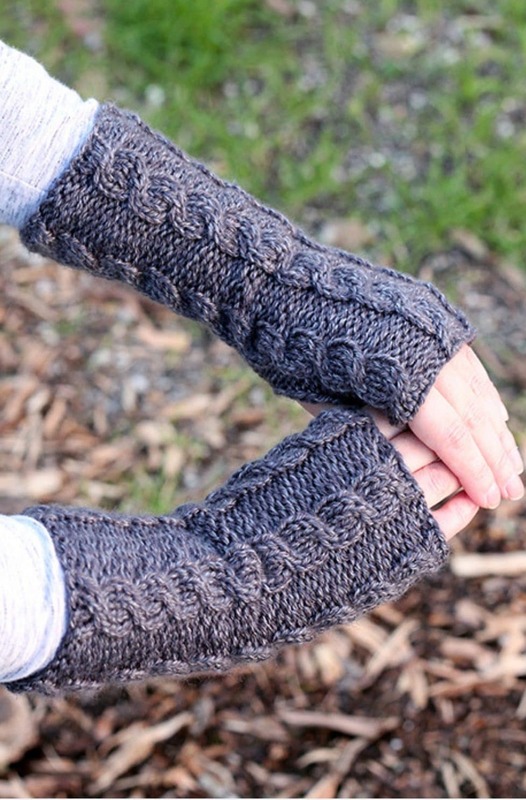 Cabled Cabin Fingerless Gloves – Get the free pattern here! If you haven’t watched it already – you really should! 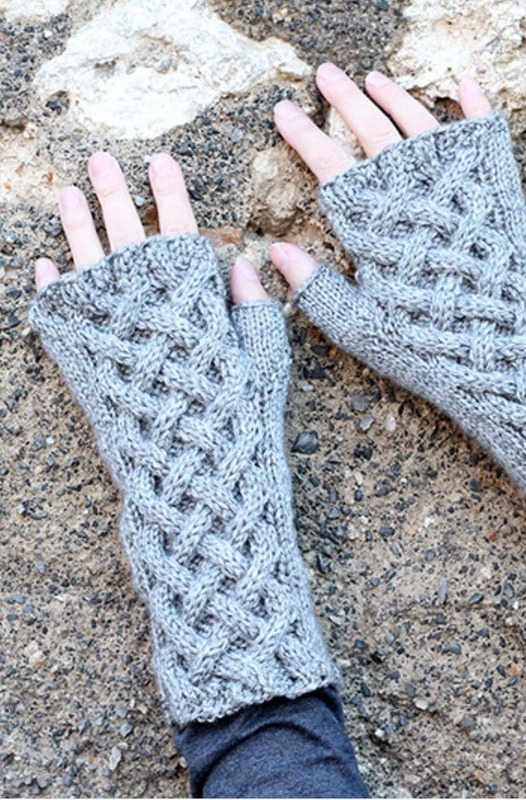 The Outlander fingerless mitts are perfect for the colder weather, as they have been knit with medium weight yarn (04), in Alize Lanagold Classic – grey. 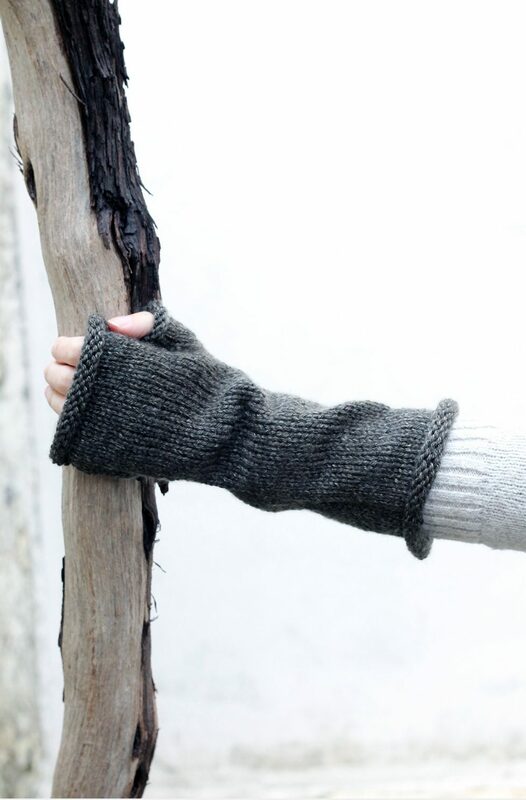 Using knit and purl stitches, you will create an interesting design, knit flat on straight needles, then seamed to make the mitts, leaving a space for your thumb. This pair of mittens will be super cosy to wear while commuting, typing or like Claire – for finding herbs in the garden! Make this easy pair of knitted fingerless mittens with the easy to print out pattern below, then come back and let me know what you think in the comments or leave a review! 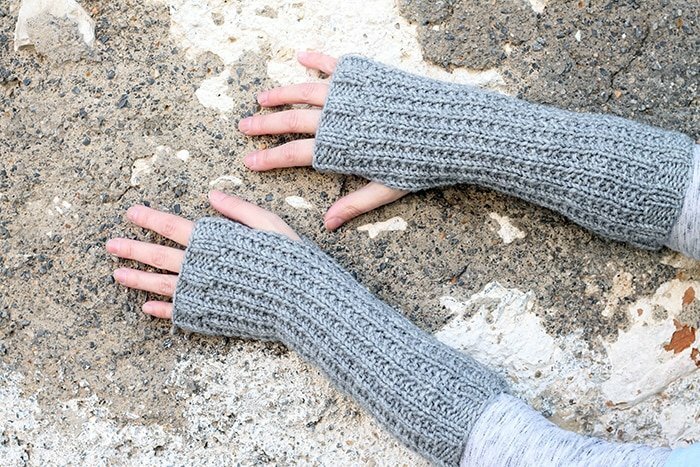 The fingerless mitts are perfect for the colder weather, as they have been knit with medium weight yarn (04), in Alize Lanagold Classic - grey. Using knit and purl stitches, you will create an interesting design, knit flat on straight needles, then seamed to make the mitts, leaving a space for your thumb. Leave a gap of 2 inches for the thumb hole. Then stitch for a further 2 inches to close the top of the mittens. Gauge = 8sts in 8 rows in 1 inch. If you enjoyed making the mitts, I’d love to see yours on Instagram, be sure to tag me @handylittleme.